I was sad but not unsurprised to hear that Oasis College will no longer be recruiting students to their undergraduate and postgraduate courses. Unfortunately Oasis College has also seen a steady decline in students, despite having a positive recruitment strategy in place, supported by staff and resources. We have failed to recruit our minimum target of students for a number of years. Consequently this has put a stress on the financial resources available and as a result, the College Board has had to re-consider the future direction of the College. In the light of the financial implications specifically brought about by low recruitment levels for the current 2016-2017 academic year, the decision was taken by the College Board to no longer recruit to our undergraduate and postgraduate courses. In practice this means that no new undergraduate and postgraduate students will commence studying at Oasis College. Oasis College will still seek to provide short and continued professional development courses for the foreseeable future and will continue to recruit for these courses. Changes to the landscape of higher education always made this likely. Ever since the development of higher fees for undergraduate degrees through the Higher Education Act 2004 universities funding has become increasingly consumer driven. The top Russell group of universities are able to fund their budgets through a combination of high students numbers willing to pay the higher fees (now £9,000 plus inflationary increases) and large research grants. For smaller colleges or departments it is impossible to compete because the research funding has often been cut in the more specialist areas not linked to industry (which Brexit will potentially only make worse by losing more EU funding) and they are not able to attract sufficient student numbers to balance the books. What this means for the future of youth work and youth ministry isn’t clear. The sector itself is much smaller, but with fewer teaching and research institutions, representing a narrower brand of youth work I don’t see this being a positive step. If you’re starting university this autumn, it may well be your first time away from home. As you’ll have plenty of things on your mind already – and packing probably isn’t one of them – here’s a simple guide to what you’ll need for your first few weeks. They’re only guidelines – this isn’t a Scouting expedition, after all. If in doubt, check with the university’s accommodation office about what might be provided in halls, or with the landlord if you’re going into private housing. Oh, and don’t go crazy buying everything brand new – beg, borrow and buy second-hand. And learn to love Poundstretcher. A lot of self-catered halls come with a small kitchen, so students can rustle up food out of canteen hours (never underestimate the midnight munchies). These kitchens are often minimally equipped, however – think hob, microwave, toaster and kettle – so it’s worth bringing some essentials. If you’re likely to venture beyond beans on toast, some of these items may come in handy. Some things such as saucepans are often worth waiting until you get there, it might be supplied by the halls of residence, or other flatmates might have bought them. NOTE: make sure you know if the room has a single or double bed! Again, it’s worth knowing in advance whether or not you have an en-suite or you will be sharing a communal bathroom. The bits and pieces which it may not occur to you to pack, but which are guaranteed to come in handy at some point. Even if you don’t use all of them, they may be someone else’s saving grace. 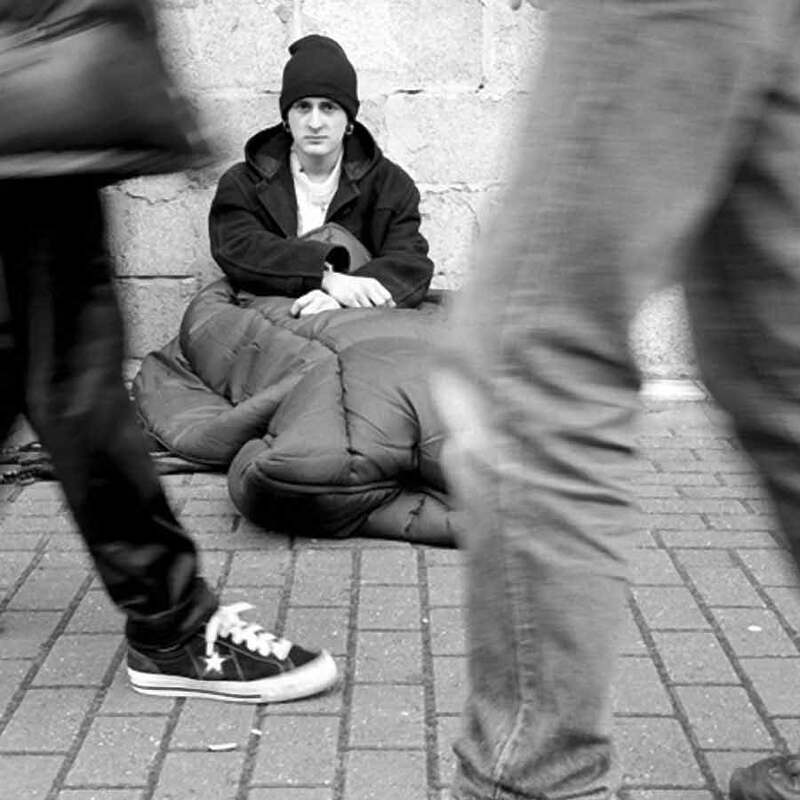 A recent study found that 75% of homeless young people use social networks to stay connected to others – a number comparable to that of university and college students. The study, led by the University of Alabama’s Rosanna Guadagno, surveyed 237 college and 65 homeless young people that were an average of 19 years old. A vast majority of both groups reported using social media networks such as Twitter and Facebook for at least one hour each day. Over 90 percent of college students reported using social media programs for at least one hour every day. Another recent study from the University of Dayton found that homeless youth are closely linked to social media in their daily lives. They don’t only use such networks for social contact and equality, but as a means to solve practical daily issues. Art Jipson, the head of the Dayton study, found that the homeless use social media as a place where all people are treated “equally,” and through a series of interviews, discovered that it can also be a medium to find social services, somewhere to sleep and their next hot meal. I’d be interested to know if any similar research has occurred in the UK with the ever increasing group of sofa surfer teenagers.